Manchester City returned to the top of the Premier League after a 0-0 draw with rivals Manchester United at Old Trafford. The game's two best chances fell to United in the final five minutes - Jesse Lingard's effort on the stretch from six yards hitting the crossbar, before Chris Smalling's first-time shot forced a fine save out of Joe Hart. But the title rivals had to settle for a point after playing out the first goalless Manchester derby in five years; a fixture that has provided an average of 3.75 goals per game over the same period. The result means City return to top spot in the Premier League on goal difference from Arsenal, while United sit fourth - two points behind their neighbours. The first half was lacking in chances with both defences on top, and was only the second Premier League game this season not to see a shot on target in the first 45 minutes. 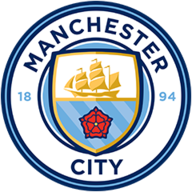 Two half-chances did fall for Yaya Toure but his header from Kevin De Bruyne's corner fell just wide of David De Gea's right post, before he fluffed his effort from 15 yards after De Bruyne's fine centre. The contest opened up after the break, with three clear chances falling to Louis van Gaal's side. Chrs Smalling's header from Juan Mata's corner bounced just inches in front of Morgan Schneiderlin as he looked to tap home, before the ball fell just the wrong side of the post. United came closest on 85 minutes when substitute Lingard latched on to a fine Anthony Martial ball over the top of the City defence, and his outstretched effort had the beating of Hart but bounced back off the crossbar and clear. Then, with just two minutes remaining, Smalling's low shot from 10 yards at the near post was tipped wide by the outstretched glove of Hart. Neither side could grab a winner in stoppage-time, meaning a first stalemate since November 2010. 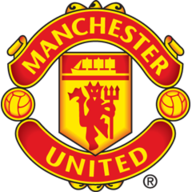 Manchester United: De Gea (6); Valencia (6), Jones (6), Smalling (7), Rojo (7); Schweinsteiger (6), Schneiderlin (6), Herrera (6); Mata (6), Rooney (6), Martial (7).